There certainly is some great mystical sounding Middle Eastern music here, but I am least satisfied with this soundtrack. Why are there so many generic hard rock/metal battle tunes on here? The guitars have the worst tone and the song writing doesn’t even match high school Metallica-wanna-be garage band. Grrrr….. Anyways the good songs are all under 2 minutes. 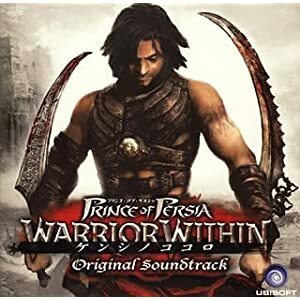 If you’re looking for a Prince of Persia soundtrack in particular you might want to go with Prince of Persia – Sands of Time, if its just dessert or Middle Eastern setting music you are looking for try the filter by tag box on the right and look for Middle Eastern. Or check out Peter Gabriel’s The Last Temptation of Christ. It won’t disappoint!